Stay with me as I go through this challenge and see the affects on our home! Also check out Women Living Well! Do you have any type of rituals or traditions to prepare for and enjoy the holidays? 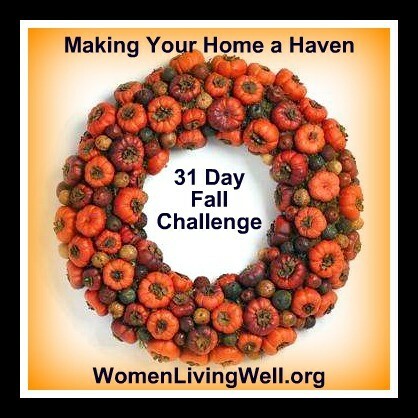 This entry was posted in Domesticity and tagged candles, challenge, children, Christmas, church, decorate, fall, haven, home, music, Women Living Well. Bookmark the permalink.